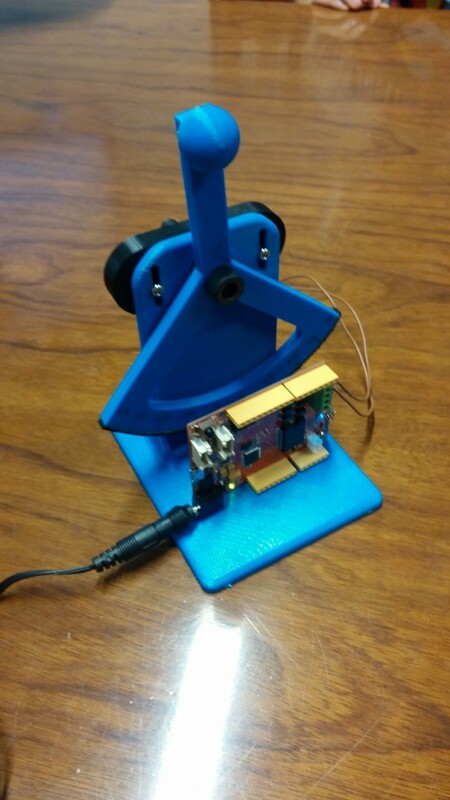 This is the first test of our build of the Stanford’s Hapkit haptic device built in the School of Engineering of the Universidad de Málaga (Spain) by Juan Gandarias. 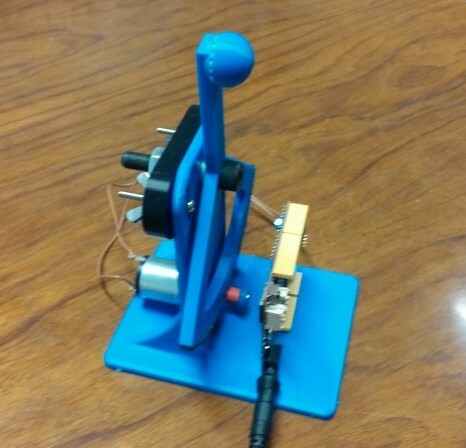 This device is intended to be low cost and easy to build, which could make possible teaching haptics, control and telerrobotics all around the world. We used some different components and made some modifications to make it easier to build in Europe. 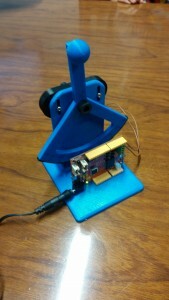 Other changes are coming to make it more robust by using the reprap’s diy experience. One Response to "Fisrt tests of our build of the Hapkit Standford’s haptic device"
I would like to make a hapkit at home, and i would like to know more about this haptic paddle. What type of board (IC) did you use in this video, and what’s the name of you sensor? Is it a MR sensor? 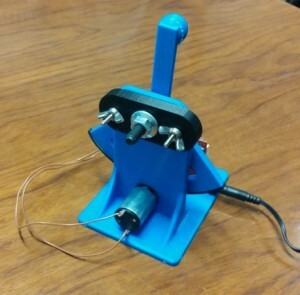 Can i use Arduino for this project? Thanks for your answer.